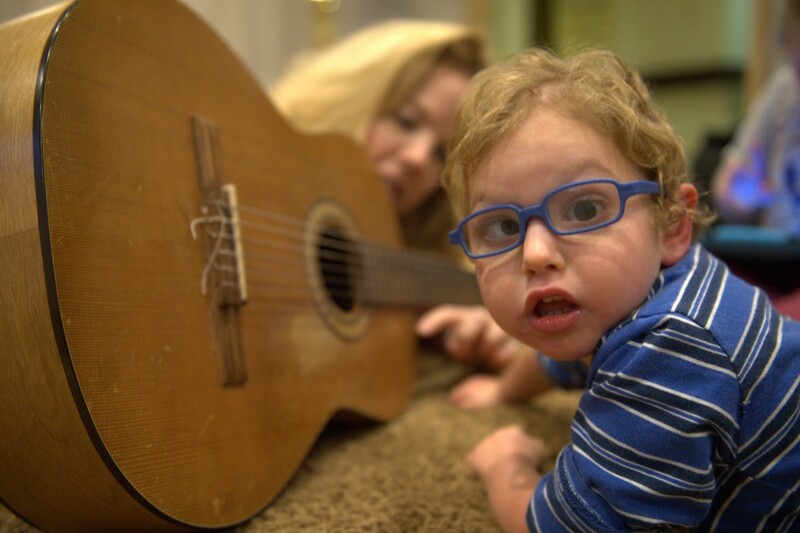 To complement our home-based Birth-to-Three Early Intervention services, our Children’s Enrichment Program organizes social gatherings and activities to provide critical interaction for families with infants and toddlers with vision loss or multiple disabilities. Programs and special events are listed below. Advanced registration for all programs is required. Unless otherwise noted, all programs are held at The Chicago Lighthouse North at 222 Waukegan Road in Glenview. Our parent-focused support group is led by clinical psychologist Michael C. Smith, PhD from the Bergman Institute. This group fosters connection and community by providing a setting for parents to speak freely with fellow parents about raising a child with a disability. While parents meet, children engage in a guided playgroup supervised by Chicago Lighthouse program staff. Our parent-focused support group, held in Elgin, is provided in both Spanish and English. This group fosters connection and community by providing a setting for parents to speak freely with fellow parents about raising a child with a disability. While parents meet, children engage in a guided playgroup supervised by Chicago Lighthouse program staff. This program promotes language development and social interaction through fun songs and musical instruments. We now offer a Youth Transition Program in conjunction with our children’s enrichment series. Learn more about this exciting new program designed for teens and young adults who are blind or visually impaired as they transition into adulthood.